NESCA News & Notes: Store Clerk Sees Autism-Related Meltdown: How Could I Have Helped? 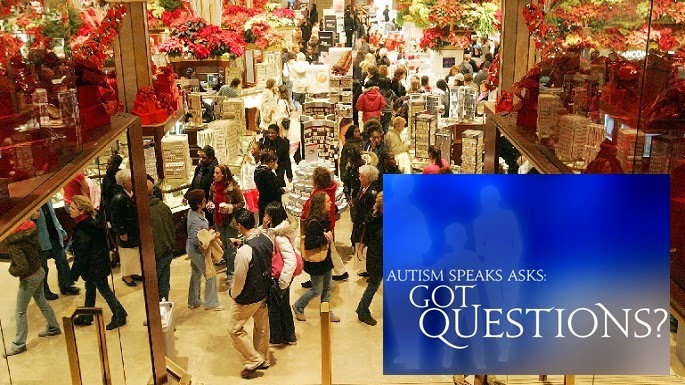 Store Clerk Sees Autism-Related Meltdown: How Could I Have Helped? Question: I work in a store during the holidays. Last year, I witnessed a dramatic meltdown of a child whose mom explained he had autism. What could I have done to help without making matters worse? 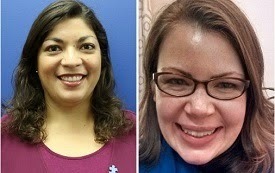 Today’s “Got Questions?” answer is by education specialist Lucia Murillo, Autism Speaks' assistant director of education research (left), and social worker Lindsay Naeder, assistant director of Autism Speaks' Autism Response Team. Thank you for your question. It’s one we hear a lot. We know child meltdowns are common and not restricted to children who have autism. However, it can be more difficult for caregivers to calm a child with autism. And the “meltdown” may be more intense than a typical childhood tantrum. It can help to understand that any child in the middle of a meltdown has likely crossed the point of being reasonable. He or she has lost control. When autism is involved, the meltdown is more likely to include self-injury behaviors such as head banging and hand biting. This can be frightening to watch. It also means that the parent’s first priority becomes the child’s safety – rather than minimizing the inconvenience to others. Public meltdowns can take a particular toll on families with loved ones affected by autism. We often hear how they can lead to isolation because parents fear they’re being harshly judged by those who don’t understand what’s happening. So your question about supporting these families is so welcome and important. And, yes, your response can help ease the situation for both the child and his or her whole family. But please understand that there’s no “one size fits all” with autism. Therefore, no one response will be the most appropriate in all situations. First and foremost, it’s important to recognize that the family knows best. We sense from your question that you understand this. So definitely allow the child’s caregivers to take the lead. They probably understand what set off the meltdown and what will work best to calm the child. Do ask the family whether there’s something you can do to help. Be prepared for “no.” It may be that they want to minimize attention to the situation to avoid worsening the meltdown. If this is the case, your role as a store employee should be to calmly steer other customers out of the way and respond to any negative comments or feedback you receive. You can help spread awareness by sharing that the child’s meltdown is not a reflection of bad parenting. Most likely, the parents are doing the best they can to calm the situation while keeping their child safe. Scan the area around the child for sights and sounds that may have contributed to the meltdown. Many individuals affected by autism are easily overwhelmed by sensory input. Is there an alarm that can be silenced? A flashing display that can be temporarily turned off? If you see self-injury behaviors such as head banging, offer the family a blanket or other soft material to cushion the impact and reduce injury. For more information, see “What Might I Need to Know about Managing a Crisis Situation,” in the Autism Speaks Challenging Behaviors Tool Kit. Refrain from giving the family advice. Chances are good that this isn’t the first meltdown they’ve handled. How long the meltdown lasts can vary widely. Neither you nor the family will have ultimate control of when it ends. Keeping calm and helping others keep calm is the best support. Your offer of help, combined with your patience and understanding, will likely be just what the caregivers need. Have more questions about challenging behaviors and autism? The Autism Speaks Challenging Behavior Tool Kit is designed to help parents and caregivers address a range of behaviors with a variety of strategies and resources. The Autism Speaks Guide to Applied Behavior Analysis and our Introduction to Behavioral Health Treatments provide additional information about behavioral strategies and interventions for parents, teachers and other caregivers. These and all Autism Speaks tool kits are available for free download here.